Morning Breath Flow perfect to start the day. Strengthening, stretching, self awakening and restorative all tied together with full breath. Creative twists to open the spine. Always something new keeping yogis on their toes, but simplicity and accessibility to all levels. Invigorating and rejuvenating. 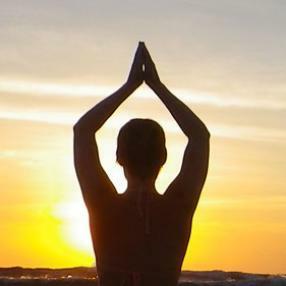 Start your day with this invigorating and rhythmic practice that warms the body, calms the mind, and opens the heart. All levels are welcome. Learn mindful movements, breathing, and meditation practices that support healthy aging. We'll focus on improving or maintaining muscle strength, bone density, and balance. All ages are welcome to attend this gentle therapeutic class, however it will be geared towards those over 65 years of age. Come practice in a supportive and loving community! No prior yoga experience necessary; all levels and ages welcome! This is a level 1-3 practice. We go deeper into the poses with the intention to strengthen and align our bodies. Come breathe, move your body mindfully, align bones and muscles, still the mind, and create community. Yoga experience is useful but not necessary. Beginners are welcomed! Waking up and connecting to the day with this intention setting yoga vinyasa class! Find balance, build strength and cultivate ease in this dynamic yoga practice. The first half of the class will focus on strengthening poses to build muscle tone and flexibility, and in the second half of the class you will relax and completely unwind with therapeutic and gentle restorative poses that will help you let go of chronic stress and tension in the body and mind. Everyone is welcome. This Vinyasa flow class will get you deeper into all areas of your body through subtle and nuanced alignment cues. And we’ll tap those underworked parts of your body as well, to create ease and evenness in your practice. Through this work, you'll learn how to become more sustainable and find a greater sense of peace during a strong practice. Linking breath and movement we will align the body physically and energetically to cultivate strength, restore and maintain mobility and flexibility and release tension. Expect fluid vinyasa infused with mindful alignment, creating a practice well balanced between the practical and the philosophical. All levels welcome. A 50/50 blend of dynamic vinyasa movement and deep restorative poses with an opportunity for meditative inquiry. 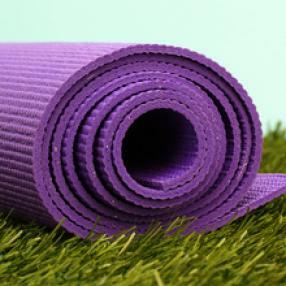 This playful class stimulates the imagination, body awareness and conscious breathing. Inspiration for our poses and movement will come from learning to tell our own life stories, ancient animal tales, and popular children's stories, ranging from The Very Hungry Caterpillar to Bob the Builder, to The Jungle Book. Kids learn basic anatomical markers (kneecaps, hips, shoulders, etc.) and fun animal yoga poses like Downward Dog, Frog, and Butterfly. We might even go upside down, with help. We will begin to experiment with 'flowy yoga' linking poses and the breath in a homemade version of the sun-salutation as a way to create joy. Each class ends with a calming pose that lets us float away on our breath. Taught in German and English (tailored according to each child's language needs) to increase vocabulary about the body and movement in both languages. An all-levels Raja Yoga class that explores the intersections of Yogic, Buddhist and other wisdom teachings to cultivate mindfulness through movement. The basic Sivananda All Levels class tones and stretches the entire body. It is non-competitive. We begin class with two breathing exercises to calm and balance the body and mind. We warm up with Sun Salutations. Then begins a series of 12 classical postures, with active relaxation in between. Gain strength, flexibility and focus. Train to become resilient, calm and relaxed with a healthy body, mind and spirit. All experience levels are welcome. Please wear modest clothing. 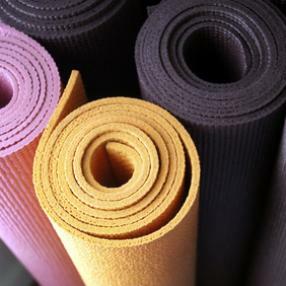 These mindful classes are great for pain-relief, stress-relief, and trippy fun. I was the first yoga teacher to publicly offer cannabis and yoga in the West, and I've been featured in The New York Times and High Times. Bring your cannabis and medical marijuana card to consume with cool community for the first 15 minutes (or do your thing before class). You do not need an MMJ card, or to consume cannabis, in order to join this class. Bring a mat (we have a few extras if you need one). Bongs, vapes, pipes, joints and edibles all welcome. RSVP for class by paypaling /> This saves hassle at class and secures your space. Accessibility ~ In order to make these gatherings accessible to those that cannot afford them, I will reserve 2 spots in each class for people who may "pay what you can.” The way to be considered for these spots is to send me an email or text with the date of the class you wish to join, 24 hours before the start of class. Depending on the number of people applying for the pay what you can spots, we will rotate availability. 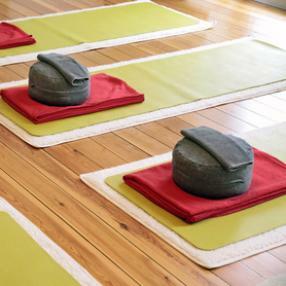 Softer music and soothing lighting sets the mood for this Vinyasa 1-2 class. At the end of a hard day come wind down and maintain a quiet and focused mind, while still challenging yourself with fun flowing sequences.